When Paul Johnston flips a switch at Harriet Brewing company, 600 pounds of malted barley make their way through a grinder, up a tube and into a 15-foot-tall copper-plated vessel. In about a week and-a-half, the barley will be beer. Harriet Brewing will brew a lot more beer after the Minneapolis City Council approves its application to operate the city's first brewery taproom today. It probably won't be the city's last. Small beer-making operations have been popping up all over the city — and around the state. At least 10 new breweries opened in Minnesota last year, from Castle Danger Brewing on the North Shore to Olvalde Farmhouse Ales near Winona. That's great news for beer lovers, but it also raises a question: can the Minnesota market support them all? Harriet Brewing owner Jason Sowards made his first batch of homebrew in 2008. 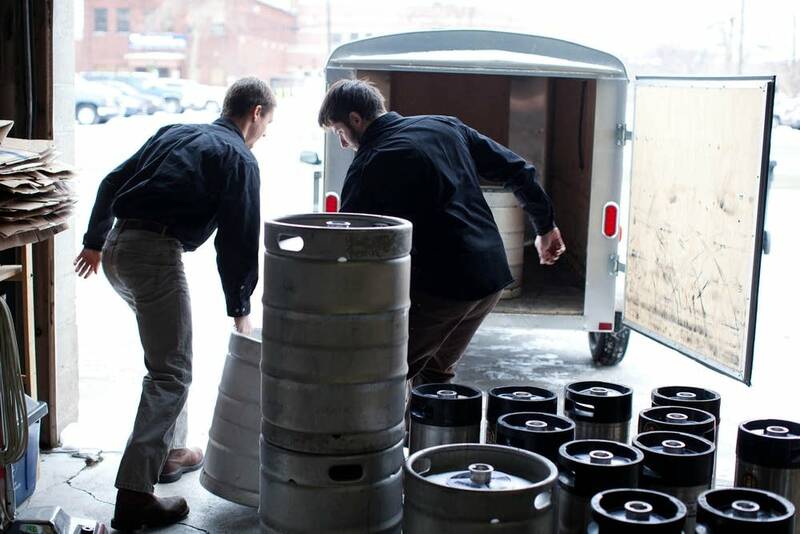 The company sold its first keg less than a year ago. 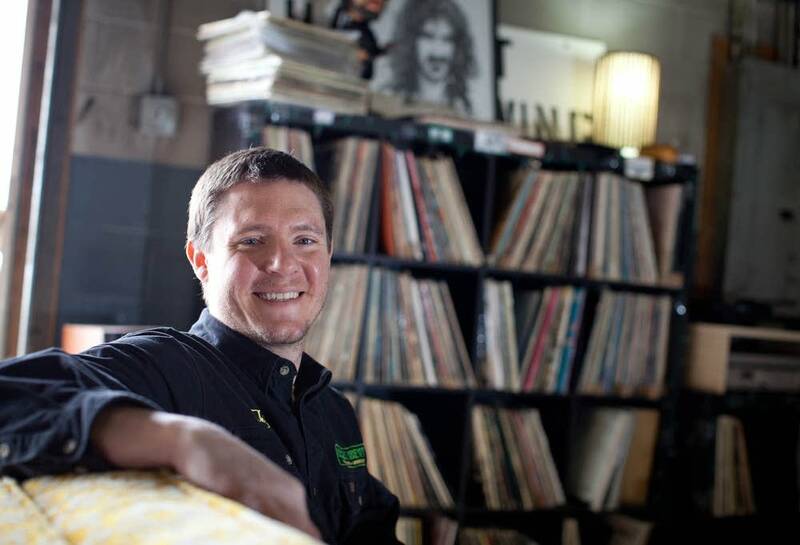 "It was a hobby turned into a passion turned into a job," he said. Sowards has a degree in chemical engineering. So designing this Minneapolis brewhouse was the easy part. "The difficult part has been everything else," he said. "You know I'm not necessarily a seasoned businessman. In fact, there's no necessarily about it — just flat out naive in so many ways." Like many new business owners, Sowards still isn't able to pay himself. That came as a bit of a surprise. He also didn't expect the company to grow as quickly as it has. Initially, he figured he'd do all the brewing himself. But in August, Sowards realized he needed to hire someone to do it for him. He has 15 employees now — four of them are full time. 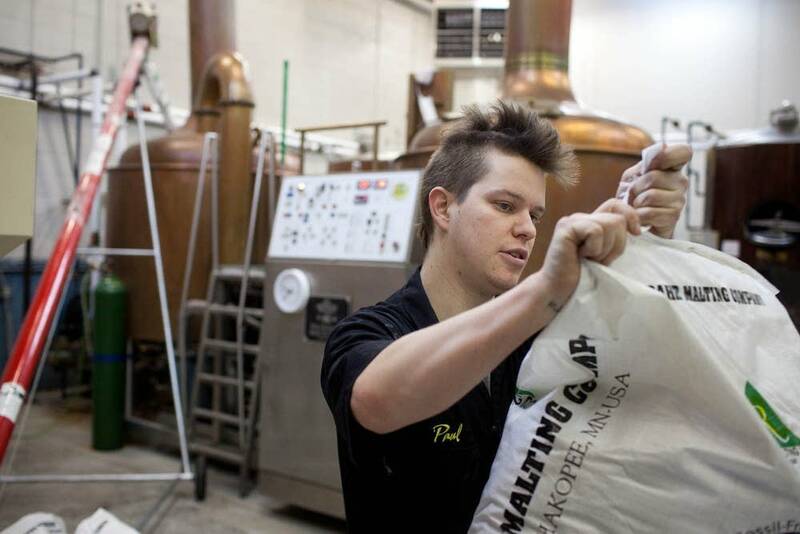 Harriet Brewing shipped about 800 barrels of beer last year to local bars and in jugs called growlers from its Minnehaha Avenue headquarters. This year's goal is nearly twice that. A state law passed last year, often called the "Surly Bill," allows breweries like this one to sell pints onsite. Harriet will be the first Minneapolis brewery to take advantage of the law. Sowards said that means the company likely will top the $330,000 in sales it had last year. "I'll probably have to hire more people," he said. Sowards has tapped into the national craft beer boom. Big brands like Budweiser, Miller and Coors still dominate the U.S. market. But they've seen declining sales in recent years. Small breweries have been gaining market share. But that doesn't mean they're all turning huge profits — at least not yet. Eric Shepard, executive editor of the trade publication "Beer Marketer's Insights." "Well, I think it's sort of a parallel to the wine business," Shepard said. "There's a lot of people in the wine business who aren't making a whole lot of money. But they're making some great wine and they're having a great time. So, part of the appeal for the brewers themselves is lifestyle as well as business and making money." Brewery boom or flat chance? According to the Brewer's Association, a national organization based in Colorado, there are more than 1,900 breweries large and small in the United States. Of those, about 450 opened in just the last three years. Plenty of Minnesotans are joining the craze, too. The number of breweries in the state jumped by about 30 percent last year. Minnesota now has 43 licensed breweries and brew pubs. But that's nothing compared to Oregon. It has at least five-times as many breweries per capita as Minnesota. But even there, it's not clear the market is saturated, Shepard said. "So, you can find these pockets all over, particularly in the Northwest, where there's plenty of brewers and there doesn't seem to be a sign that, well [it is] too much," he said. "In fact, the opposite is sort of true. A few small brewers have had to pull out of markets because they can't provide enough beer." St. Paul's Summit Brewing Company has been filling kegs at a rapid pace lately. Sales were up eight percent last year, and there is no sign the increased competition has hurt Summit's position. It is the second largest brewery in the state, after Schell's. Mark Stutrud, who founded Summit Brewing in 1986, sees the proliferation of new breweries as part of his legacy. "I identify with every dreamer that thinks about starting a brewery because I was one," he said. But Stutrud also remembers the micro-beer boom of the 1990s, and that many of those companies folded. Still, he said it is clear a growing number of consumers are demanding higher-end beer. That makes it a good time to be in the craft brew business.